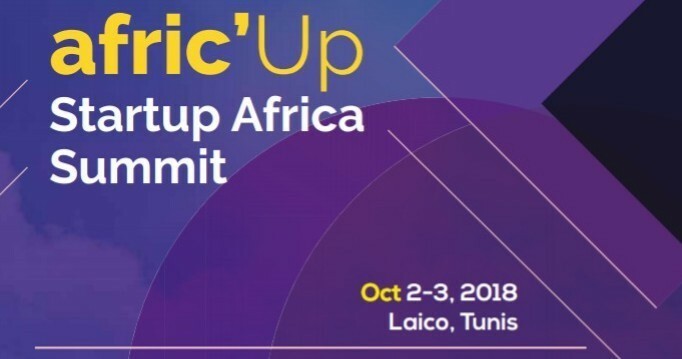 (Press release – Afric’Up) Who knows that Tunisia is a member of the Smart Africa Alliance in charge of the development of the African startups ecosystem? Who knows that Tunisia has voted an unprecedented law on the continent the “Startup Act” to boost the ecosystem of startups? Who knows that Tunisia was chosen by the African Union in 2017 to become the Digital African Center of Excellence? Who knows that Tunisia will create the Franco-Tunisian University for Africa and the Mediterranean, the most important educational project of the continent? Who knows that Tunisia will host Station T, the equivalent of Station F Xavier Niel’s incubator? Do you know that the Universal Postal Union entrusted the Tunisian Post with the design of an African e-commerce platform called “Ecom @ Africa”. Do you also know that this same Tunisian Post was the first in Africa to create a cryptocurrency, the e-dinar, which uses blockchain technology to authenticate all the cash exchanges made by users. Yes, Tunisia is certainly a small country but with many assets that the world ignores, especially ignored in the digital world. It is this “gap” that the African Startup Summit wishes to remedy by highlighting Tunisian startups ahead of the “success stories” while informing and exposing the different ecosystems, innovations and talents of Africa. today and tomorrow. Tunisian entrepreneurs will have the opportunity to learn frugal, intuitive innovation and to improve their knowledge of African ecosystems. We share the same land but we do not look in the same direction. Our eyes are looking North, Europe as the world looks at Sub-Saharan Africa and is investing in it. Africa has about the same GDP as India, but the penetration of mobile services is double. The advent of mobile imposes new ways of communicating, consuming and thinking. Thus, new innovative services emerge, responding to local needs in a simple way while conforming to local customs and specificities. 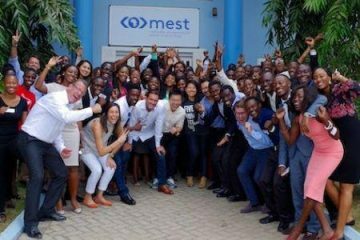 How many Tunisians, Maghrebians, Westerners know M-Pesa, Jumia, M-Kopa solar, Cellulant Branch, Lydia, WeFarm, Terranga, Kuddobuz, HotelOnline, RetailNetwork, Konga, Yudala …?  To recite nobody else but them…. We want afric’Up to become one of the biggest events in Africa exclusively dedicated to startups, innovation and creativity. A place of exchange and sharing, so that each participant can get the maximum feedback on the ideas and projects that will emerge from this forum to highlight the important role of startups in the economic and social development of the Africa. Nearly 80 African and international speakers are invited (CEO, investors, mentors, experts, institutional, confirmed startups), 112 African and international startups will present their solutions and innovations, more than 20 African countries are represented and more than 1000 participants are expected for the first edition of afric’Up which will take place on October 2nd and 3rd, 2018 at the hotel Laico MED V in Tunis. Among these speakers, the biggest names of the African Tech: investors, incubators and experts will be present for the first time. Erik HERSMAN, creator of iHub Kenya’s leading innovation center, Bankole OLORUNTOBA, builder of the digital ecosystem of Nigeria, South African Toby SHAPSHAK, editor-in-chief and evangelist on innovation in Africa, Rishabh LAWANIA, founder of WeeTracker, Lexi NOVITSKE, Africa of Singularity Investments of Nigeria, Celine DUROS of the MEST Africa incubator of Ghana, Romain DIAZ, of Far Ventures (South Africa) Tomi DAVIES of the African Business Angel Network (Nigeria), Christophe VIARNAUD, CEO Methys (South Africa), Khaled ISMAIL, founder HIMangel (Egypt) Wilmot ALLEN, Venture Lift Africa (Kenya) David van Dijk, General Manager ABAN – African Business Angel Network and VC4Africa Mentor (Holland) Victor ASEMOTA d Afrinnova (Ghana) … as well as experts, investors, journalists, researchers, startup leaders from Africa, Europe, the USA and the Middle East. afric’Up is a space of discovery and will focus on ecosystems of emerging countries with Paula ENEI, responsible for the Chilean program of startups considered as one of the most attractive in the world (more than 1300 startups from 75 countries created in under 10 years), but also India and Turkey. The digital Francophonie will also be at the heart of our event with the presentation of various actions, programs, networks, and the announcement of the 50th anniversary of the Francophonie in Tunis in 2020.
afric’Up aims to promote innovation, creativity and new digital economies. For the first time in Africa, a Forum will address the creative digital cultural industries, and showcase the Tunisian digital creative ecosystem the only one that rivals that of South Africa, the blockchain and its applications, but also the African Legaltech . E-Health, E-commerce, Fintech, Mobile Payment, E-Tourism, AgriTech & Foodtech, IOT, AI & Machine Learning will also be discussed during specific panels during these two days with the presence of many African startups. Through afric’Up we wish to work to help the implementation of pragmatic actions, influence, networking, mechanisms and discussions with all the actors who make the African Tech to promote a better understanding between different components of Africa and improve the exchange and knowledge of ecosystems, initiate innovative projects with added value for all stakeholders and contribute to the development of entrepreneurship on the continent. Afric’Up also aims to highlight Tunisia as a true hub of talent, knowledge, education, research and innovation on an African scale. 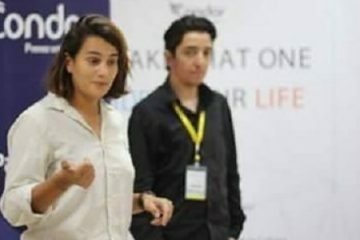 afric’Up is a Tunisian initiative for the benefit of African startups. It is under the aegis of the Ministry of Communication Technologies and Digital Economy and will be officially inaugurated by the head of government Youssef CHAHED in the presence of several officials and institutional personalities African and international.